This is partly due to an increase of over 25% in users to 22 million for the first half of the year, and the average revenue per customer increased by 13% with most choosing to purchase additional advertising packages. The number of Estate agents advertising on Rightmove is now 19,000 an increase of 3%. Page impressions on are up 13% to 8.1 billion from 7.2 billion. Rightmove’s shares were up 4% to £22.65 following the profit announcement. However, share prices had previously fallen 20% since the Bank of England announced it would use new measures to cool the housing market in February. ONS (Office for National Statistics) data shows average UK house prices are up 10.5% in the last year skewed by a London market that has increased by as much as 20%. From next January Rightmove will face new competition from a start up property portal called “OnTheMarket” which is being backed by some of the Uk’s biggest estate agency chains. He confirmed they would be using new technology such as instant alerts to maintain a competitive advantage as 40% of its views come from mobile devices and there has been 7 million downloads of its app. This Property Research Tool is for the benefit of all property buyers, landlords, tenants, owner occupiers and professional advisers associated with property. Thanks to business sponsors and Property118 Members for their incredibly generous donations making the development of this Property Research Tool. Far too many people fall into the trap of not doing proper online research, they see a property they fall in love with or meet a sales person they trust and the deal is done. For those of us who have learned our lessons the hard way, it still takes a long time to wade though websites to complete thourogh due diligence. The really annoying part for me was finding each website individually and then having to enter the same postcode into each one over and over again to find the right pages. For these reasons I wanted to have a system built as a convenient Aide-mémoire (check-list) for every internet user to be able to use and to provide access to to the websites containing vital information with the minimum number of clicks. 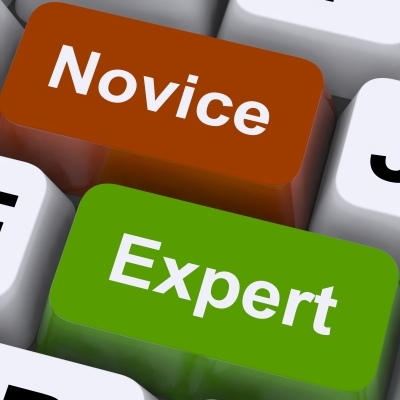 Essentially the Property Research to is a pop up page, called a modal, which consolidates key information used by landlords and other property purchasers to assess properties. Any website can incorporate this technology free of charge. The functionality works best with Google Chrome and Safari internet browsers. The only data input for users is the Post Code of the area. The key benefit is the ability to access all information required to complete desktop due diligence without having to remember visit multiple websites, thus saving considerable time and effort. The information is called from several websites which provide insight into the location being searched. Enough of me trying to explain what it is, why not see for yourself? If you run a website yourself why not write a review and grab the embed code to install the Property Research Tool functionality on your own website? We even have a widget which creates a “call to action” button (like the one below) which you can size to your requirements. “Should I obtain consent to let” has been a very common question over the years asked by both accidental landlords and portfolio landlords who are moving, but wish to keep their property as an investment. The very easy answer is yes you are contractually obliged to tell your lender and I would not give any advice other than to do so. However, I understand that some people find themselves in the position where they have already let the property and fear lenders declining the request with no ability to remortgage due to a high loan to value, or being unable to afford an increase in interest rate. Other borrowers also do not realise they have a responsibility to tell the lender, or don’t think they will ever find out. From conversations I know that many people have “got away with it” for some time, but that does not mean they could be unlucky and the lender finds out tomorrow! It has been reported in the press recently that mortgage lenders are launching a new crackdown and in an effort to catch borrowers are trawling the electoral register, social media websites and online letting portals such as Rightmove for evidence that a property has been put up for rent. Having worked in the banking industry myself I know many lenders have quite large fraud departments often headed up by ex-police officers that would probably be used for this type of exercise. This risks of getting caught are not just the issues that may be caused with the property in question, but also being black listed with all lenders using their shared Hunter system. Some lenders are more helpful than others though, allowing borrowers to let with a “consent to let” form allowing a 1- 2 year period of grace with no increase in interest rate under the understanding that the loan will be repaid or remortgaged to a Buy to Let within this period. However some lenders will charge and increase in interest rate by as much as 1.5% in the case of the Nationwide. The Chelsea Building Society actually impose a 1% penalty if a borrower has not told them on top of the standard 1% interest rate increase. I do not want to panic anyone in this situation, but it is important to understand the implications and risks involved. The phrase “amateur landlord” annoys me, I really wish people would stop using it. First off, if you were a tenant would you want to be dealing with an amateur landlord? I don’t recall ever seeing an advert on Rightmove or Zoopla which reads “Amateur landlord offers this stunning 3 bed ……” do you? Would you put the words amateur landlord in you to let advert? The phrase smacks of the landlord behaving amateurishly or not having a clue about what they are doing doesn’t it? Are these the descriptions that people with just one or two rental properties wish to affiliate themselves with? A landlord who owns just one property should still act professionally shouldn’t they? I don’t really understand why the phrase “amateur landlord” ever came about. People who rent out property take an income from the rent, some spend any profits, some reinvest them and all are hoping for capital growth. Whilst this may not be their main profession, and often isn’t, surely they can’t claim to be amateurs? Why would they want to? Perhaps they don’t want to be called professional landlords in the hope that Consumer Laws will protect them? Well there is no legal definition for what a professional landlord is anyway so I can’t see how that makes any difference. The legal case of OFT vs Foxtons ruled that landlords can be protected by consumer laws, however, the case didn’t set any a criteria for what constitutes a landlord no longer being a consumer. 1) Let’s assume a person earned £500,000 a year as a banker and owned 30 investment properties making a net profit of a further £50,000 a year would that person still be a consumer? 2) Turn the numbers around and let’s assume the banker is making £500,000 of net profit a year from his property portfolio and £50k a year from a non-exec Directorship, what then? Logic might suggest he can’t possibly be a consumer any more because the vast majority of his income comes from being a landlord right? Well I’m not so sure about that either. 3) What about a housewife who owns one property making £50 a month profit after all expenses and has no other income? The housewife with one property might be the better landlord too, hence more professional? So is it number of properties which should set the precedent of whether a person remains a consumer or should it be based on what percentage of their earnings relate to rental properties. Based on the three examples above I can’t see logically how it could be either of these. So, with no precise legal definition for what is a consumer landlord why do we have all these other tags? Why aren’t landlords referred to as landlords? Accredited Landlord – I like this one providing it refers to accreditation by education, not some “jobs for the boys” Council run scheme which inspects properties. 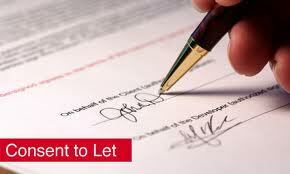 I think it should be compulsory for all landlords to be accredited if they wish to manage their own properties. Rogue landlord – this is meaningless, either they are criminals or they are not. Accidental landlord – that’s almost as bad as amateur isn’t it? Landlady – such a people run pubs or Guest houses. The legal definition of a female who rents out property is a landlord. 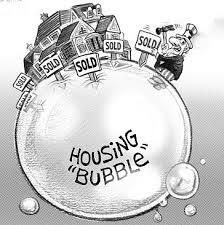 There has been a great deal of commentary in the press the last couple of days raising fears of a housing bubble. Rightmove increased its forecast for the year from 4% to 6% leading to headlines calling for government to do something about concerns of a debt fuelled crisis in the housing market. Yes prices are rising, but we are seeing sustained recovery for the first time since the credit crisis outside the economic microcosm of London? It is this recovery for most of the country, in areas where prices have fallen or been static for a long time and not just one area, that has surely seen the forecast rise recently. Yorkshire and Humberside fell 1.3%. Overall in the UK asking prices are 4.5% higher than this time last year and have increased on average by £16,000 so far in 2013.
are we right to be worried? and can we do anything about it? First of all we need to consider what is really causing prices to rise. 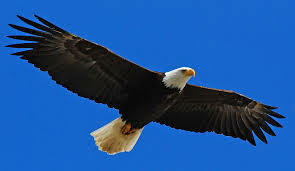 Is it demand lead where we are all earning more money, unemployment is down and mortgages are easier to obtain? Alternatively is it the lack of supply in new housing that is putting the upward pressure on prices? In terms of industry sector contribution to GDP (Gross Domestic product – the output of the economy) it is the building industry that suffered the worst during the recession and is taking the longest to recover. In terms of scale, the supply side of new housing has suffered more than any recovery in the economy recently, so it may be this which is the biggest factor for the country as a whole. However, in London there have been many reports that foreign money, especially from Arab states and China, is being invested into the London housing market and could be an external factor fuelling demand lead increases that we can’t control. At some point limiting factors such as purchasers income and the size of deposits required will come into play with income multipliers and maximum LTVs only able to sustain a certain level of house prices before demand slows back down. This is where regulation of lending could dampen an over heating market putting in place restrictions on lending criteria. One of the biggest and most immediate fears of property investors is the Bank of England increasing the Bank Base Rate to curb any house price inflation. This is now less likely as the BofE are no longer just targeting inflation levels, but also have the wider remit of encouraging the growth of GDP. Therefore it is less likely that they would consider harming the recovery by increasing interest rates, and more likely that they would look to use regulation of lending to control this specific inflationary pressure. The Bank of England’s Financial Policy Committee will meet tomorrow, when it will reportedly discuss the issue of a housing bubble and what action it could take. I certainly see no evidence that we need to panic yet, but it would be very interesting to get readers thoughts on this subject. Common sense tenant referencing was pretty much the only option available when I first became a landlord and started letting property in the late 1980’s. Rightmove report a drop in August of 1.8% (-£4,459) in new sellers’ asking prices, which is the first monthly fall recorded in 2013. However the recovering market means the traditional holiday season price dip is less pronounced than usual as the underlying recovery in the housing market continues, with the price of property coming to market up by an average of 8.8% (+£20,210) in the first eight months of the year. August also saw a new record asking price for ‘flats and apartments’ property type. Buyer demand is set to increase further when Help to Buy starts assisting purchasers of second-hand property in January, highlighting the need for greater property supply to meet growing demand and mitigate unsustainable upwards price pressure. It is imperative that Government communications around January’s extension of Help to Buy do not neglect the need to stimulate supply as well as demand. Demand from home-movers is already returning with the number of email leads sent from Rightmove to agents and developers up 17% year-to-date. Property transactions are also up 5% while the supply of property coming to market lags behind increasing by a mere 0.2% so far this year – record prices for flats highlight the issue. The peak holiday month of August is traditionally volatile, with asking price falls recorded every year since 2007. Fewer sellers come to market, down 8% on last month, with discretionary sellers more focused on holidays and content to wait for the busier Autumn selling season. Sellers who do come to market during August tend to have a more pressing reason to sell and consequently price more aggressively. Shipside observes: “The underlying recovery in the housing market continues, with the price of property coming to market up in seven out of the first eight months of the year. However, outside of London and the South East it is weaker than the 5.5% annual gain headline figure suggests. Prices in the capital are 10.2% higher than this time last year compared with an average of just 2.8% for the rest of the country. While prices are up, transaction volumes still remain constrained by risk-averse lenders’ high deposit requirements and a lack of fresh property supply”. We are already seeing early signs of demand outstripping supply and the Government needs to ensure that the current new build Help to Buy scheme, and its extension in January to second-hand homes, deliver more properties onto the market as well as boosting demand. 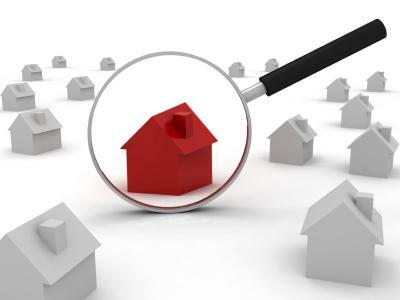 The number of properties coming to market so far in 2013 is up just 0.2% on the same eight months in 2012, an increase of just 1,664 properties. However, this marginal improvement in fresh supply is outstripped by a 5% jump in transactions1 and a 17% annual increase in email leads to agents and developers from Rightmove so far this year. The natural lag between an increase in demand and a corresponding increase in supply could cause a short-term step-up in house price inflation over and above what is currently being seen. When, or if, property supply responds will be key in determining how long and how marked any inflationary period might be. We’re a professional couple with a limited company which provides a technology solution to the NHS. It suits our circumstances to rent at this moment in time. We had a 4-year rental of a lovely apartment until last Summer, when the owner decided to downsize and move back into the property. It was a good relationship, we had treated the property as if it had been our own investment and we parted as friends – with our deposit paid back in full. After much searching we found a 3-bed town house which appeared to offer us everything we needed. The letting agent was a member of NAEA/ARLA and appeared to be respectable. There were some agreed remedial works to be dealt with and we were given assurances that these would be attended to in due course. We moved into the property in late August 2012. Sadly, by the beginning of November, it was apparent that the property had some significant problems. There was extensive water penetration upstairs and a rising damp problem to the ground floor. The letting agent was informed immediately, with photographic evidence and a request for urgent assistance. We moved our furniture from the 3rd bedroom. A ‘trades-person’ appeared in due course, with a notepad and pencil but with no damp meter. A report was promised, but was not forthcoming. The letting agent promised to send another contractor. This one only worked weekends and couldn’t agree a time to call; that visit never took place. I called the landlords contractor to arrange the remedial work to be completed – missing doors, exposed wires, etc. He visited early November, measured up, made notes, promised to return – but failed. We spent the most horrendous Christmas and New Year in the house. There was serious damp penetration, black mould which was constantly being removed. Slugs were climbing the walls. The house was very cold and the more that we heated it – the worse the damp became. We telephoned, wrote, sent photographs, yet the letting agent did nothing; there were plenty of replies – unbelievably stating that they were attempting to do everything as quickly as possible. We initially resigned ourselves to getting out of the house at the end of our AST. In early-February, I wrote the strongest letter to letting agent with photos. A survey was made by Peter Cox, a pretty damning report which agreed with our complaint – serious damp and rain penetration. I wrote again, asking for compensation and a reduction in rent. This was refused. The letting agent had said that the landlord was absent; it transpired this wasn’t the case. We tracked the landlord down and demanded a meeting. The landlord appeared, agreed with us in full and said that it was the first he knew of the problem. He agreed that we should be compensated and that this was the letting agents responsibility. Our landlord sat in our home, apologising and promised us both that this would be resolved. He remarked how clean we kept the property. The next day he had changed his mind and said that our grievance was with the letting agent. The following day – the EHO (Environmental Health Officer) inspected. That week, the missing doors and exposed electrics were attended to. We sent 2 requests to the letting agent, for the landlords address – these were refused. A week later we received a section 21 notice to quit. The landlords address was given as c/o a family member in the South – presumably to thwart a legal action by us. It turned out that the landlord had known of the problems. He’d applied for a grant for roof insulation, in my name – without my knowledge – and prior to our first meeting. It transpired that the letting agents were not members of ARLA or NAEA and we contacted both organisations and Rightmove to get these false affiliations removed. The letting agent claimed an oversight. We spoke with our MP who has written to the CEO of the local authority, in order to push the EHO. The EHO wrote to the letting agent and the landlord but there was no response. We then began to receive threats from the letting agent to enter the property to inspect and allow viewings; we made a formal complaint to the Police and this is logged with a fast-track number in the event that they continue. We threatened to change the locks and the letting agent replied that this was not necessary. We defended the section 21 notice on the grounds of incorrect dates and continued to pay the rent. We were not going to be forced out and subjected to costs or inconvenience due to their incompetence. The weather had improved and the house was drying out for the summer and we would tough it out now – having gone through the worst. We have since redecorated all damp affected walls as it is unnecessary to be reminded every day. Our MP has pushed for resolution; this has mustered a stronger letter from the EHO. There has been no response other than a second section 21 notice. The dates are once again incorrect. The letting agent has put our deposit into a DPS but did not provide the Deposit Protection Certificate or prescribed information until we requested it after five months of tenancy. The prescribed information appears to be incomplete. I doubt that any s21 is valid until deposit is returned and the landlord might be liable for 3x under the Localism Act? Our claim should also be for a reduction in rent back-dated to 11/2012 and should provide compensation for immense stress and upset – particularly to my wife – for the repeated inconvenience, small damage, etc. We’ve spoken with experts in Landlord/Tenant issues, they’ve seen our file which is very complete and have passed it onto Barristers to evaluate. We have a strong case apparently, but would incur costs of circa £7k to seek compensation/enforcement of duty to repair; we’ve been told that there is little likelihood of being awarded costs – if successful. That’s an expensive ‘point of principle’ for us. It seems a dreadful situation. We actually like the house and the worst of the problems could be so easily resolved. We must now consider vacating the property before the bad weather sets in again – to remain longer would weaken any case against the landlord and the letting agent. The landlord is inexperienced and his conduct and concern for our welfare has been quite despicable. The promises that he made to my wife and I were instantly forgotten and we would like to do whatever might be done, so that he is taught the lesson. Please accept our apologies for the long post, is there anything that we could do, other than what the landlord and letting agent expects – that being to vacate and walk away? I feel that someone needs to make a stand here, to create some solid case law if necessary – to protect others faced with similar problems in the future. Letting Supermarket have launched a new scheme which they have labelled “The DSS Landlords Ultimate Letting Package”. Visiting your property, taking particulars and floor plans. Setting up an online account to store your documentation so it can be accessed at any time. Rent collected in advance with invoice and rental statement. The charging structure is quite complex as this is dependent upon the number of tenants, whether RGI can be offered and/or is taken up, whether some or all of the costs are to be passed onto the tenant etc. Needless to say, with Letting Supermarket it is always going to be extremely competitive. Quotations are obviously available upon request. This new package is being released on 1st August 2013. Letting Supermarket is a member of ARLA and carries professional indemnity insurance and client money protection. Insurance is underwritten by DAS and administered by Let Alliance.